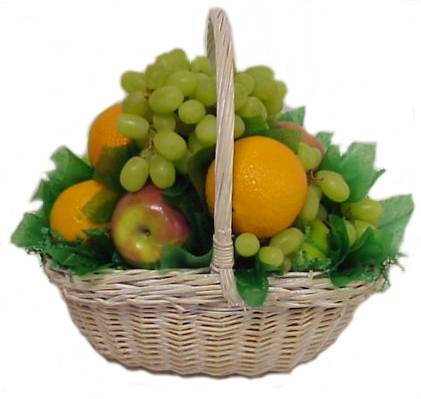 Send a heartfelt token of thanks with a charming basket full of fresh seasonal fruit. We plucked the best apples, pears and oranges and arranged them artfully; grapes available seasonally. Your recipient will, in turn, be ever so thankful.